A few months ago we bought some pork chop (chuleta) roasts to slow cook on our barbecue/smoker. 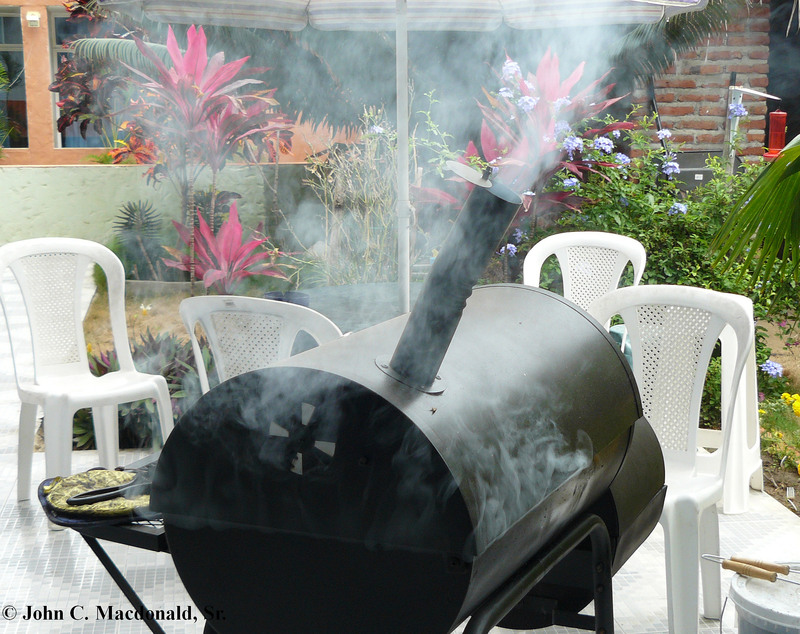 The results were absolutely amazing, so we shared some of the moist smoky pork with some friends. Well, talk got around and other friends asked if perhaps they could bring over some meat to throw on the barbecue the next time we were smoking meat. Since it takes just as much carbon (charcoal) and wood chips to smoke one roast as it does to fill up the barbecue, we decided to make a day of it and smoke up meat for several of our friends yesterday.